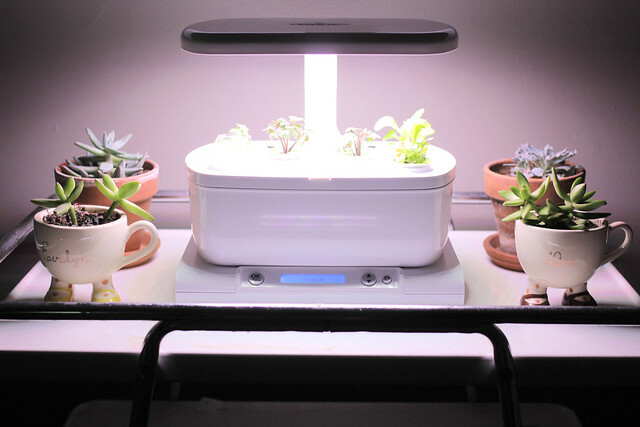 I recently treated myself to a little indoor gardening machine... er... situation... er... contraption called AeroGarden. 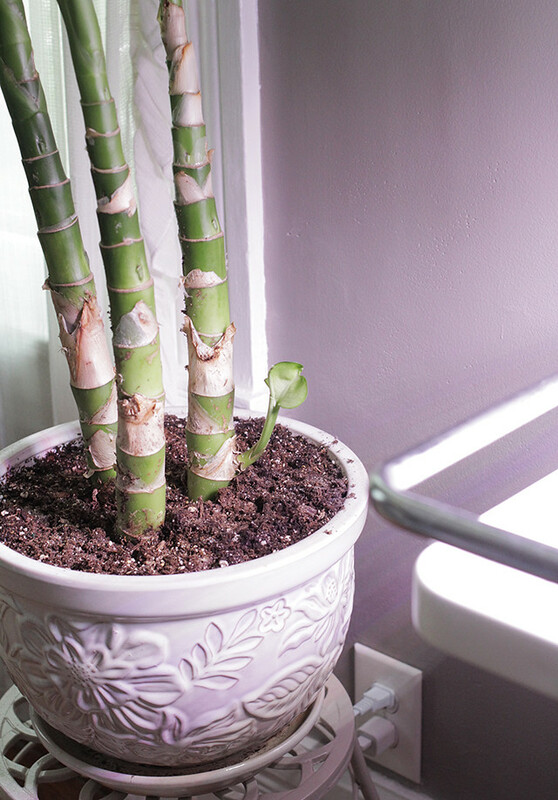 It's a countertop garden that can grow just about anything. 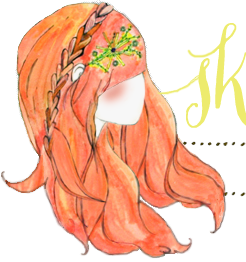 I thought some of you fellow plant-obsessed friends might be interested in this, so I thought I'd share a bit about it here on the blog! I found this guy on Amazon when I was shopping for who knows what. I had gardening on the brain because I had just put some of my baby plants in the ground outside in the raised beds. 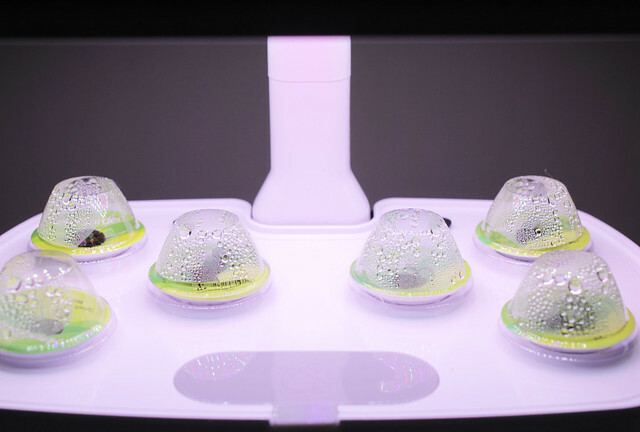 When I came across the AeroGarden, it seemed like a wonderful way to have fresh veggies in the house now, instead of waiting until summer for my plants to produce. I mean, obviously I can just run to the grocery store to snag fresh ingredients, but it sure is convenient to walk over and trim what you need. 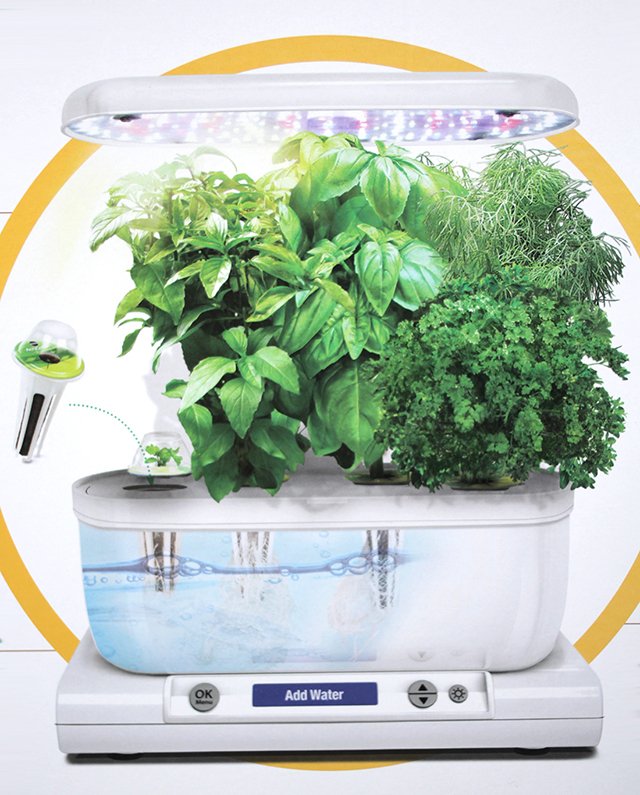 The way this thing works is simple: you fill the base with water and plant nutrients. 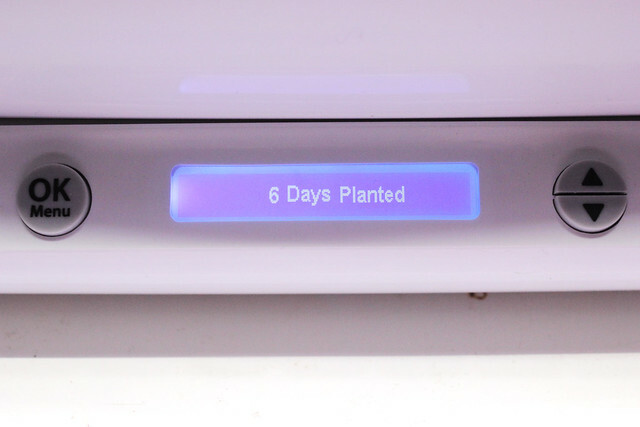 My AeroGarden has 6 slots for growing whatever I choose. 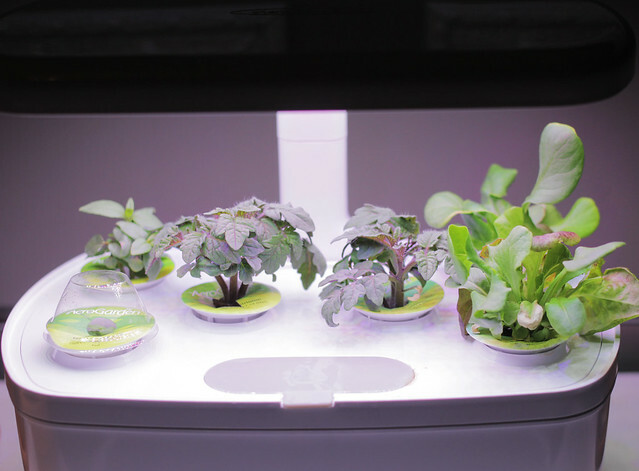 For now, I'm growing 2 pods of salad greens, 2 pods of roma tomatoes, and 1 mint and 1 basil. 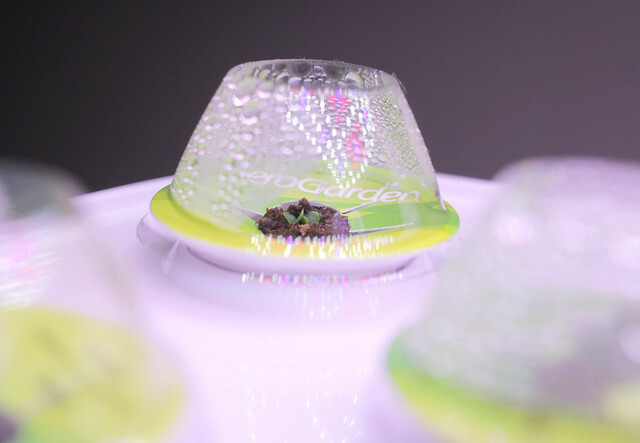 The pods started sprouting within the first week and have really taken off since then. I think I'm about 20 days in at this point and the plants are getting pretty big! My house plants in the dining room are VERY happy to have the extra light! Anyway, I'll keep you guys posted on progress with this indoor garden. So far, so good! Happy Tuesday, friends! I've heard of these but doubted how good it could be. I'm really interested now! We have one of these and have had several successful crops. We've grown the lettuce and herb packs and both have turned out great.